Students who are deemed competent will receive a Statement of Attainment for Height Safety Supervisor which is recognised under the Australian Qualifications Framework. This certification is nationally recognised. The Statement is issued by Pinnacle Safety and Training (RTO 40496). 2 days. Allow two 8-hour days. The second day can run long depending on group size. 10 hours is not uncommon. $478.00 pp for public courses. 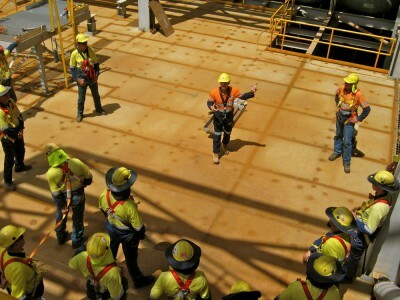 1 day option: Individuals who can provide a statement of attainment for ‘RIIWHS204D - Work safely at heights’ attained within the last 12 months are eligible to book in to attend just the second day of this program at a cost of $239.00 pp. Please call us on 1300 990 810 to book. Standard work at height training (RIIWHS204D) does not meet all of these requirements. Pinnacle Safety and Training is the biggest work at height skills training organisation in the country, and we have developed this course in consultation with industry to provide a greater depth of real-world knowledge and practical hands-on training for supervisors and advanced workers. Training can be conducted at your work site or off-site at any of our purpose-built training facility. Work at heights training is focused on fall prevention rather than fall arrest. 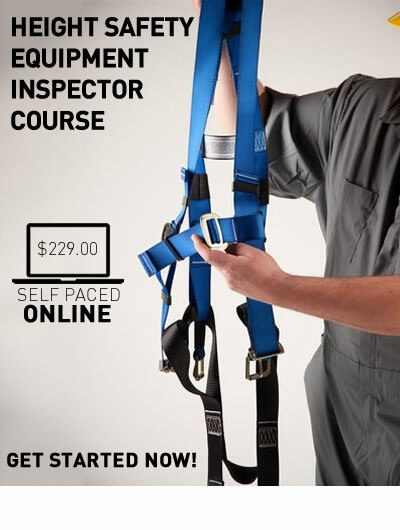 It is designed to equip workers with the knowledge and skills to safely work in any height situation, primarily being aimed at general construction, maintenance, mining, large factories or other work situations where work is conducted anywhere where a fall from one level to another is possible. Pinnacle Safety and Training recognises that whilst there is a standard set of learning outcomes for this course, the context and environment in which the learning is applied is varied. We will always customise the course to suit your unique workplace requirements. Training covers risk assessment, selection and correct use of equipment, selection of anchors, fall restraint, work positioning and fall arrest systems (including practical setup and use). This unit covers the requirements of risk management processes in the resources and infrastructure industries. It includes identifying hazards; assessing risk and identifying unacceptable risk; identifying, assessing and implementing risk treatments; and completing records and reports. 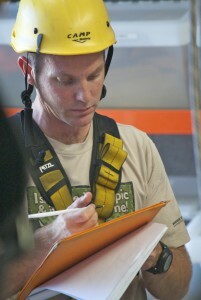 During the course we will assist you to develop your work method statements and risk assessments for working at height. 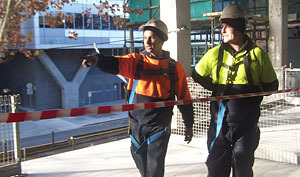 All workers who conduct or supervise tasks whilst at height will find this course beneficial to workplace safety. This course will enable you to comply with current WHS legislation with successful trainees receiving a nationally recognised statement of attainment. This unit covers the competency to provide emergency care pending the arrival of appropriately qualified personnel. This unit is a prerequisite to Participate in a Rescue Operation. You will be taught basic first aid theory, and this will be applied in your heights-based practical scenarios. Did you know that as of January 2012, it is a requirement under WHS legislation that if a fall-arrest system is in use, there must be a rescue procedure in place, and this procedure must be tested to ensure it is effective? This unit covers the competency required to participate in rescue operations as a member of a rescue team. This unit underpins specialist rescue operations. We will go in-depth into rescue operations for working at height. We will spend a significant amount of time in practical, hands-on rescue scenarios (e.g. Gotcha Kit and Controlled Rate Descent (CRD) rescue scenarios). If you require training in any of the above disciplines, please give us a call on 1300 990 810 to discuss your requirements. Two 8-hour days of training. The second day can run long depending on group size. 10 hours is not uncommon. Up to 8 trainees per course. Prerequisite for attending day 2 only: You must hold a ‘RIIWHS204D - Work safely at heights’ certificate attained within the last 12 months. If this was not attained at Pinnacle, you must provide a copy to us prior to your day of training. This is to ensure participants can apply all of the basic safe work at height principles (as these are not taught on the second day). Very impressed that Jay took the time after we had finished to talk through particular compliance and practical issues with me. Unlike most of the people attending I have to write my own methods and procedures. I left with a good understanding of what I will have to put in place to be compliant. Jay’s training style and experience was very good with strong hands on exercises. Jay answered all questions raised and was helpful throughout the course.